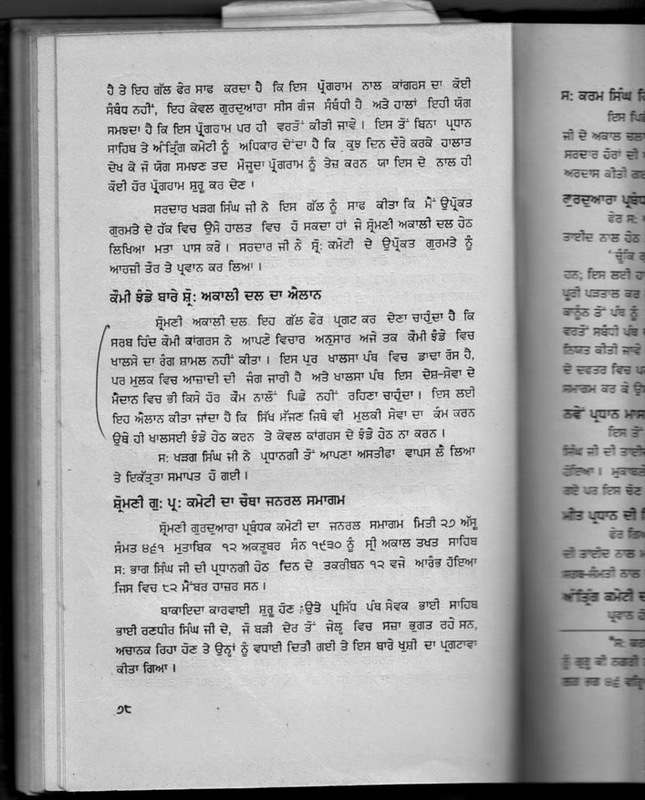 According to Varnashram (casteism) rules of Hinduism shudra (the low caste) can only wear ornaments of iron and is strictly prohibited to wear copper, silver and gold. Similarly the Shudra can't wear red or saffron, golden or white garments. The colour prescribed for shudra is blue. Even cultivation of neel is prohibited for upper caste farmers. Sikh Gurus identifying themselves with the downtrodden thus prescribed iron bangle for Sikhs and blue colour the official garment for Sikh armies and flag of blue colour. 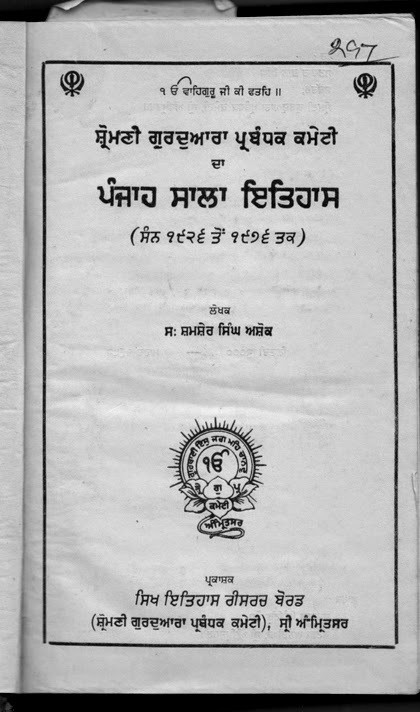 Due to high influence of deredars (half Hindu half Sikh saints) today the colour of Sikh standards stands altered to saffron whereas no Sikh code of conduct allows saffron standard. 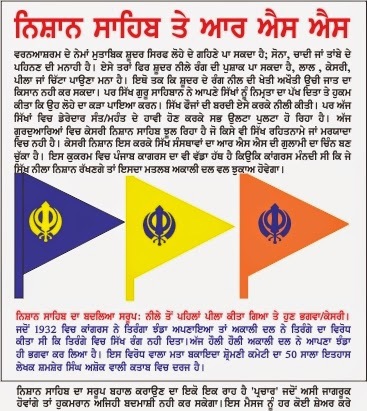 Saffron flag is thus a symbol of subjugation of Sikh institutions under RSS. Also the Congress unit of Punjab deliberately encouraged saffron because with blue colour the Akali party would get political mileage. 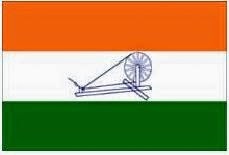 Would you believe Akali Dal passed a resolution in 1932 opposing Tiranga of Congress because 'It doesn't include Sikh colour'. And today the Akali Dal has altered its own flag from blue to saffron. ONLY BECAUSE MASSES ARE IGNORANT. LET US ALL SHARE THIS MESSAGE. M.K.Gandhi approved the following flag for India in 1921. It was originally designed by Pingali Venkayya an Andhra youth. Shromani Committee opposes Indian Flag. Here is the resolution passed on Aug 30, 1930.